MA History is a PG Course that is dedicate to providing useful information of ancient Indian Culture in all its parameters and careers. This will also provide a good understanding of different views of history and civilization. A history student is also encourages preservation and management of heritage. 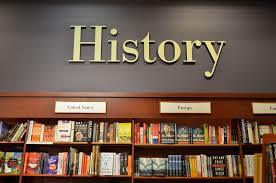 History is the understanding of written events and records of humanity. Be aware history leads to an understanding of mankind and gives insight into the future of our civilizations. Master’s degree holders in history can enter careers in teaching, research, and much more. Most importantly this course is mainly focused on so much reading, independent reports, that it is one of the most ideal degrees to pursue. The educational program of history department is both job-oriented and utilitarian. Numerous young and talented women have graduated from the department and made their success career. This means the instructors are make comfortable conducting on the classes, which will make it easier for you to be successful. You will be get a syllabus at the beginning of the semester; it will tell you all of the master dates for major exams and projects. A master’s degree in history provides students the knowledge to work as a history educator at the university level. You may also be work as a consultant for history materials, such as author of textbooks, write about history for different sources. Here you learn about national and world history, as well as some natural history. Art history and military history are common areas of the expertise for those who hold a master’s degree in this field. A great option for those looking for the globe’s great events, progressions and tie periods. The most common job is that of a teacher. You are even qualified to teach at the college level. These positions can be hard to get, as most educators remain at their occupations for various years. You can fill in as an instructor’s right hand at first, and might be the preferred choice when a teacher resigns. You can likewise work training grade school or optional school history courses. Otherwise you can work in chronicled records at the nearby, state, or government level.